THE B-MOVIE NEWS VAULT: STOCK YOUR VAULT: New DVDs & Blu-rays for 03/06/2018! STOCK YOUR VAULT: New DVDs & Blu-rays for 03/06/2018! March has certainly come in like a lion Vault Dwellers, at least in regards to the weather. On the DVD & Blu-ray front, this month is starting off rather quietly, with a bunch of re-releases from various labels. Scream Factory delivers a worthy Collector's Edition of THE STRANGERS (just in time for the theatrical premiere of its sequel) and the Blu-ray debut of FANGS OF THE LIVING DEAD, Arrow Video gives us a single-disc Special Edition of DONNIE DARKO and 2-Disc Limited Edition of CAT O' NINE TAILS, and Kino Lorber drops a cool double feature of HOUSE ON THE EDGE OF THE PARK & LAST HOUSE ON MASSACRE STREET. Paramount released a slew of new steelbooks for a bunch of sci-fi and action flicks from their catalog, Mill Creek gifts us classic horror fans with two more Hammer Horror Double Features, Frolic Pictures released more cult movie double features, and Disney/Marvel caps things off with THOR: RAGNAROK (Blu-ray and 4K UHD)! 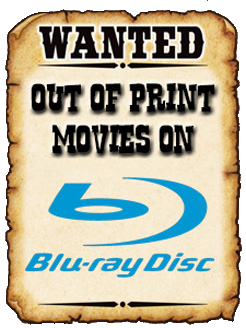 Scroll down see all of this week's new DVDs and Blu-rays, and put those tax returns to good use! Hammer Horror Double Features Vol. 3: Maniac & Die! Die! My Darling! Contains: R100, The World of Kanako, and Why Don't You Play in Hell? Contains: S.W.A.T., Stealth, Vertical Limit, Universal Soldier: The Return, Last Action Hero, Blind Fury, Silent Rage, White Line Fever, and Into the Sun. News Vault Spotlight On: Cohen Over Coen! Umbrella Entertainment's March 2018 New Releases!